This week marks a monumental point in Travis Scott’s career as the artist dominates the charts with the No. 1 single and album in the United States. Scott’s double RIAA platinum-certified “Sicko Mode” has claimed the No. 1 spot on the Billboard Hot 100 chart. This is the first time Travis Scott has topped the Billboard Hot 100 chart after peaking at No. 2 on the chart earlier this year upon the release of the single’s video. Additionally, Scott’s album AstroWorld has claimed the No. 1 spot again on the Billboard 200 chart this week, marking the album’s third time to achieve No. 1 in 2018 after occupying the top spot for two weeks upon its release on August 3rd. The combined feat of having a No. 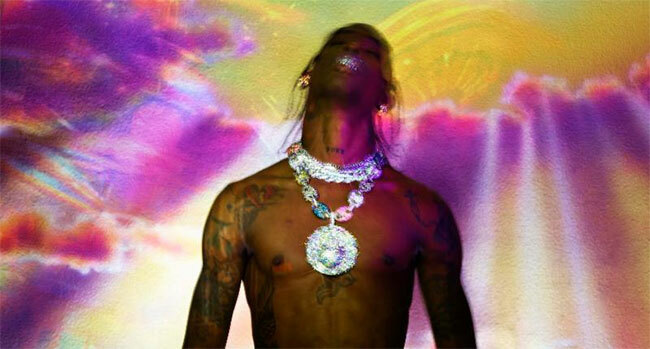 1 single and album is fitting considering the banner year that Travis Scott has seen. The achievements come on the heels of a whirlwind week that saw Scott release the Nabil-directed video for new AstroWorld single “Yosemite” featuring Gunna, share the official remix for “Sicko Mode” by Skrillex and perform two star-studded, sold out shows at New York City’s Madison Square Garden in the midst of his current AstroWorld: Wish You Were Here Tour. Additionally, AstroWorld being No. 1 this week means the album has retained a spot in the Top 10 of the Billboard Top 200 chart for the 17th week in a row. Upon its release, the album earned the “second highest debut of the year,” and raised the bar by achieving the “biggest ever first-week streaming total for Sony Music” with 349.43 million streams worldwide. This notably marked the highest pure sales week of the year as well. On November 18th, Scott hosted AstroWorld Festival in Houston during which the City of Houston proclaimed to be AstroWorld Day.